A SEVEN-YEAR-old boy, who lacerated his left eyebrow when he collided with a bollard while walking with his mum at Blanchardstown Shopping Centre, has been awarded €20,000 damages in the Circuit Civil Court. Barrister Grainne Berkery, counsel for Conor Askin, who is now aged 13, said the boy’s claim was based on the inadequacy of lighting at a taxi rank on the south side of the centre where the bollard was situated alongside a footpath. Conor, who lives at Ravenwood Crescent, Clonee, Dublin 15, sued Green Property Investment Fund, Fitzwilliam Square West, Dublin, owners of the Blanchardstown Shopping Centre, through his mother Tracie Askin. Askin told Circuit Court President Justice Raymond Groarke that she and her two young sons were walking along the footpath on the night of 20 November 2012, when Conor caught the top side of a bollard with his left eyebrow. Berkery, who appeared with Mason Hayes and Curran Solicitors, said he had been taken to the emergency department of Temple Street Children’s’ Hospital where a laceration to his eyebrow had been closed with medical glue and paper stitches. She said he had been left with an almost inch long scar which, fortunately remained partly hidden by his eyebrow. Awarding Conor damages of €20,000, Judge Groarke said the court had to decide if reasonable care had been taken by the defendant to make sure that all people using the footpath were alerted to the fact that there was a bollard actually constructed in the footpath which was something for users of the path to see and avoid. He asked was there adequate lighting at the location and adequate warning given of the bollard or was this an accident waiting to happen albeit many years after the shopping centre opened. He said the nub of the case was whether there was adequate lighting to alert a child, who may or may not have been paying a degree of attention, to the presence of the bollard. The court was of the view that adequate care had not been taken to alert users of the footpath to its presence and, given Clonor’s age, he did not find there was any contributory negligence on his part. The court heard that the Blanchardstown Shopping Centre, which catered for 1.2 million shoppers a month, had been opened in 1996 and the bollard had been in place since then. 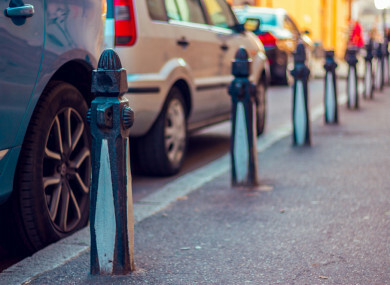 Up until the 2012 accident well over 200 million had used the centre without incident regarding bollards that had been put in place to stop motorists parking on footpaths..
Email “Boy (7) awarded €20,000 after walking into bollard at Blanchardstown Shopping Centre”. Feedback on “Boy (7) awarded €20,000 after walking into bollard at Blanchardstown Shopping Centre”.